By nature of its definition, the “sustainable” part of “sustainable food” can be expounded in different ways. The most widely used description pertains to the environmental component, i.e., conserving ecological balance through mindful environmental practices—eating locally to reduce carbon footprint, enhance the wellbeing of the local farming community, that sort of thing. The social component, while omnipresent, is sometimes overlooked. A sustainable food system should enhance a community’s social well-being, celebrate their social values. For example, the social interaction at a farmers market contributes to its sustainability, in addition to the local nature of the produce. As would using that produce to cook a meal for a group of friends or family. In the world of sustainable food, the act of eating together— sharing experiences, passing down recipes— is not as perfunctory as one might think. All over the world, cultures retain livelihood partially thanks to this social environment built upon food. A tapestry of food, interaction, and stories weave together to create the way of life that defines a people. This is sustainability—both in terms of food, and the inherent meaning of the word itself. Propelling a particular identity forward, one that happens to be grounded in food. Everyone has their own, and The Recipe Hunters are hungry, literally, to seek them out. 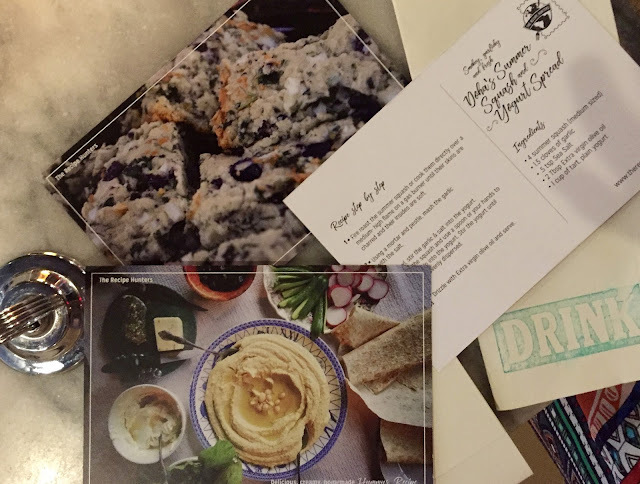 Over the summer I had the privilege of meeting the self-titled Recipe Hunters, Leila Elamine and Anthony Morano, and was deeply moved by the work they do. In a nutshell, Leila and Anthony travel the globe to find authentic and traditional family recipes, recording the stories behind the people and dishes as they go. 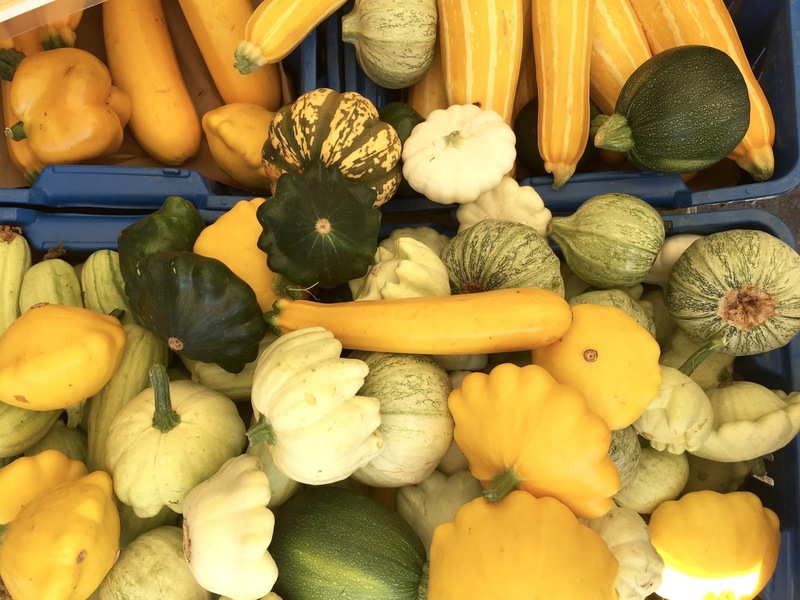 To understand the seasonal produce of a particular region, they volunteer at local farms; immersing themselves in the culture they wish to capture. “Once we find someone special who cooks traditional food with passion, experience, and love, we record the entire process with photography, video, and writing,” they explain. Their mission boils down to using food as a medium to build community, preserve culture heritage, and re-establish the dining table as the familial centerpiece. 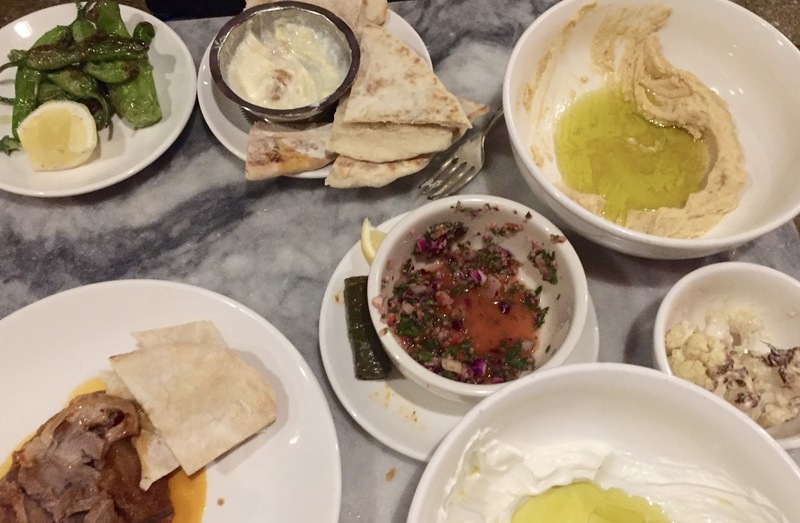 The first week in August, Leila and Anthony hosted a restaurant takeover to cook a feast of mezze recipes they had “hunted” during their travels in the Middle East. As guests, we traversed a whirlwind journey to Lebanon, Palestine, Egypt, and Syria by flavor, each stop accompanied by an intimate anecdote from Leila and Anthony’s time spent in that region. They would fondly recall a cook by name, who we could conveniently follow on the menu. Rather then eat zaa’tar, I ate Doha’s zaa’tar. Amal’s hummus. Marietta’s eggplant fritters. 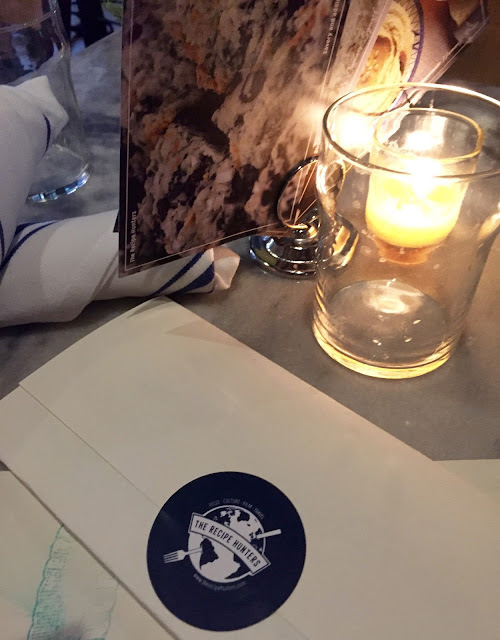 To acknowledge the authors of each recipe in writing was to bridge their distance, allowing their identities to dine in NYC with us along with their fare and tales. 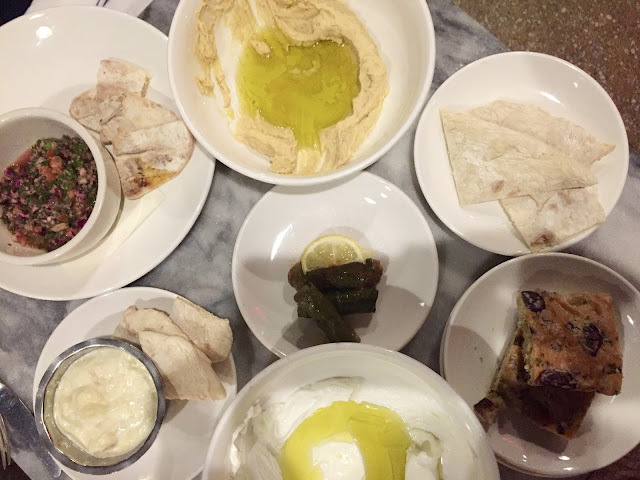 Mezze is one of my favorite categories of cuisine, and I could wax poetic about Khuta’s Zahra Bi Tahineh, roasted cauliflower drizzled in tahini sauce, and Elena’s elioti, unleavened olive and cilantro bread, until the cows come home. 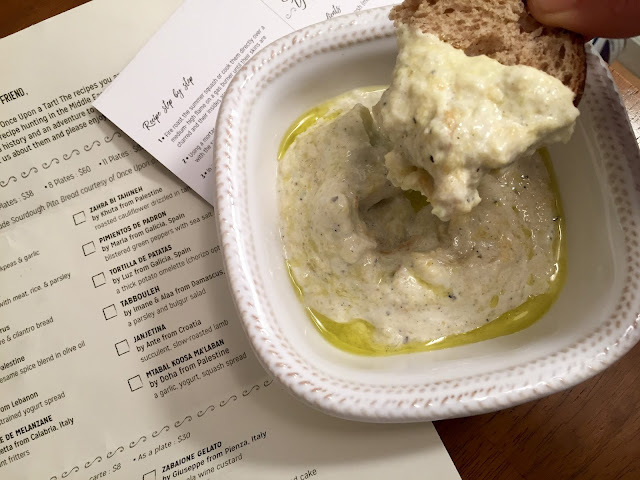 But if I had to choose just one dish out of the 11 served that was my favorite, I think it would be Mtabal Koosa Ma’Laban by Doha from Palestine: a summer squash and yogurt spread I greedily and sloppily slathered over pita after pita. A sucker for mashed vegetable dips (see my Roasted Cauliflower and Garlic dip) I loved the way the deeply roasted earthy-sweet squash pulp tasted with the tart, creamy yogurt; whisked amply with brazen garlic, slick grassy olive oil, and quality sea salt. This dip will remind you of others in the region—tzatziki and labneh to name a few—but truly maintains an identity of its own with the delightful smoky summer squash. 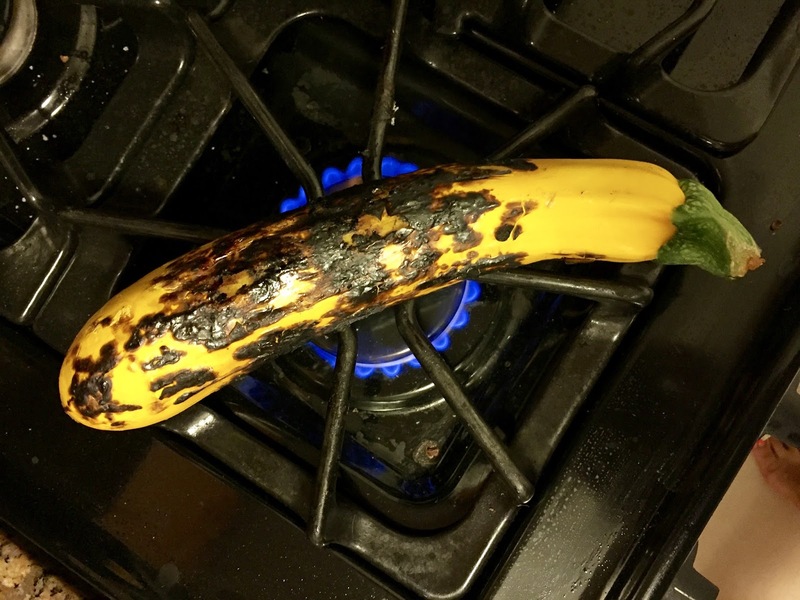 (For apartment-dwellers lacking a grill, charring vegetables on an open gas-burning stove top is a wonderful way to char the skin to a blackened crisp and achieve that grill-scorched flavor on the interior. Just make sure you monitor said veggies carefully so they don't catch on fire)! 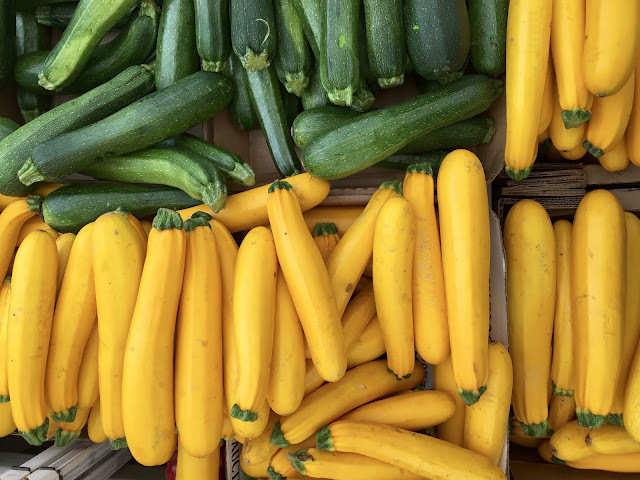 A cinch to whip up, the dip is aptly seasonal despite the cooling weather: summer squash are still prolific at the farmers markets right now. Hungry to keep living vicariously through The Recipe Hunters? Visit their website or YouTube Channel to watch their culinary adventures in action and get more delicious, storied recipes. 1. 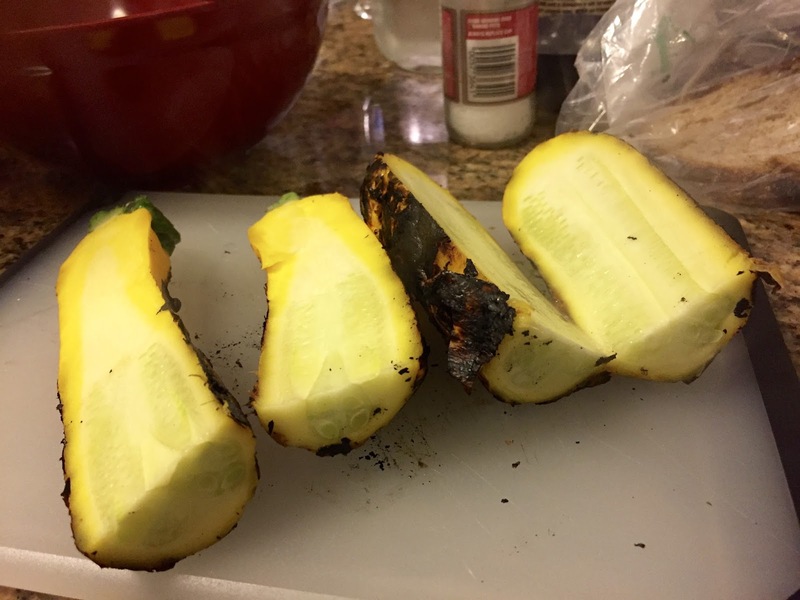 Fire roast the summer squash or cook them directly over a medium-high flame on a gas burner until their skins are charred and their insides are soft. 2. Using a mortar and a pestle, mash the garlic with the salt. 3. 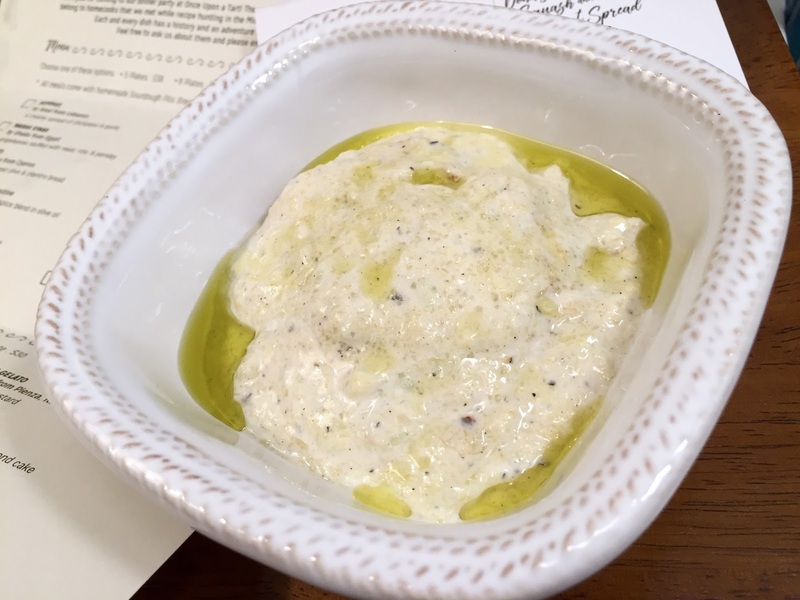 In a bowl, stir the garlic and salt in the yogurt. Peel open the squash and use a spoon or your hands to crape the pulp into the yogurt. Stir the yogurt until everything is evenly dispersed. 4. 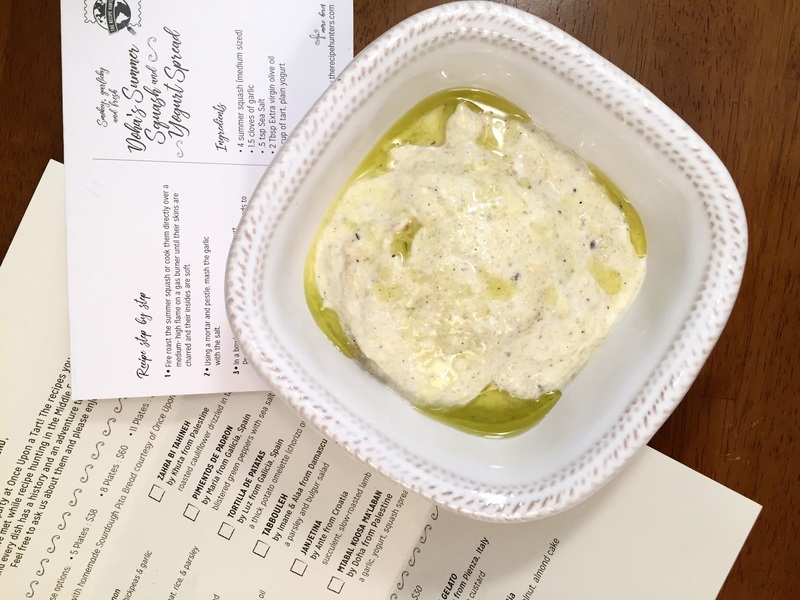 Drizzle with EVOO and serve with lots of pita.